It was my wife’s birthday on Monday. 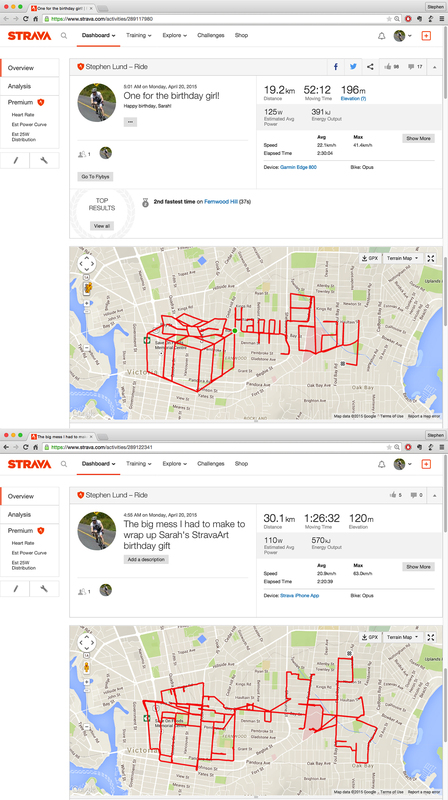 And much to her delight, she got the very thing every wife of a Strava doodler hopes to get for her birthday: a Strava doodle designed and pedalled just for her! All told, this Strava gift and happy birthday message called for 49 kilometres of cycling in Victoria’s downtown core and the neighbourhoods of Central Park, Fernwood and Jubilee .